City Council has decided that Task Force meetings across the city will move to either quarterly or a every-other-month schedule. The Wards Corner Task Force will move to every-other-month with the next meeting to be held on December 12, 2013. Other notes from today’s Task Force meeting are below. Thanks as always to Karen Mayne for providing the notes. 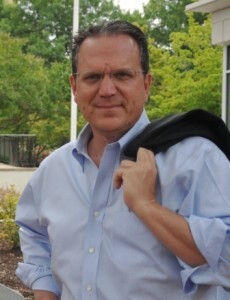 The meeting was led by Council member Andy Protogyrou. Council members Terry Whibley and Barclay Winn were also present. The non-profit Talbot Hall Foundation conducted a survey and determined that it is unlikely the Foundation can raise $4.25 million dollars to purchase the Talbot Hall property from the Episcopal Diocese of Southern Virginia. The Foundation is working with the Diocese and Harvey Lindsay Commercial Real Estate to achieve residential development on part of the property while still preserving the historical and environmental values of the manor house and property. The Police Department has given out tickets for parking on the grass along the 100 to 600 blocks of West Little Creek Road. The police have also asked the City’s codes compliance office to look into whether property owners have permits for the driveways. BP Gas Station Update – Nothing new to report. The property is currently under contract and the developer is seeking an end user (not a gas station) for a 4000 square foot retail center. Wards Corner Shopping Center – The parking lot lights are manually turned off around 9 p.m. Dollar Tree remains open until 10 p.m. The lack of lighting is creating a safety concern for customers and employees. Property owners will place the lights at the Wards Corner Shopping Center on an automatic timer. Canopy lights were replaced. It was requested that the City prune the crepe myrtle trees along the section of Virginian Avenue between Louisiana and Little Creek. Now that the new sidewalks in this area are complete, limbing up the overgrown trees will allow safe passage of pedestrians and the disabled. The City acquired 308, 317, 319, 321 and 325 East Little Creek Road; 328, 334 and 338 Fort Worth in support of the Greater Wards Corner Comprehensive Plan. Demolition is scheduled to begin on October 21st with a timeline of 30-60 days. Public Art Update – The Request for Proposals for the $150,000 public art for Wards Corner is out. Proposals are due byOctober 31. Norfolk Christian – City Council has approved the closure of the portion of Seekel Street surrounded by Norfolk Christian Upper School. Norfolk Collegiate – The issue of parking on both sides of Suburban Parkway in the vicinity of the school was discussed. Officer Odell Davis said he is recommending the removal of about five parking spaces at the western end of Suburban Parkway on both sides of the street in order to improve turn radiuses for buses and improve safety of pedestrians and vehicles. The issue of replacing the hanging traffic lights at East Little Creek Road in front of the Taco Bell with mast arm poles was discussed. There are only two hanging traffic lights along Little Creek Road between Hampton Boulevard and Shore Drive, this light being one of them. The Task Force has discussed this for at least six years as part of the beautification of the Wards Corner area. A request was made that this be considered for future capital improvement funds. No resolution on the matter since funding would be expensive and take away from the funds being used to acquire the blighted properties in Denby Park. It was pointed out that a mast arm was not installed at this light due to long-term plans for redevelopment of the surrounding area. Another concern is the utility poles that have been on the ground in the area of Tucker House at Armfield and W. Little Creek. City Council has decided that the various community task force meetings around the City should happen either bi-monthly or quarterly in order to alleviate workload on City staff. Interim communications between the face to face meetings would continue among the representatives on these task forces via e-mail. The representatives of the Greater Wards Corner Task Force indicated they would like to meet bi-monthly. The next meeting will be December 12, 2013. A few of the agenda items that we expect to discuss at the Taskforce meeting on October 10, 2013 are below. The public, as always, is welcome to the meeting held at the Fitness and Wellness Center on Newport Ave at 8:30am. The BP Gas Station at the corner of Granby and Little Creek: The property is currently under contract and the developer is seeking an end user (not a gas station). Parking lot lights at the Wards Corner Shopping Center: The owners were contacted about the lights being manually turned off around 9 p.m. Dollar Tree remains open until 10 p.m. The lack of lighting has been creating a safety concern for customers and employees. The property owners have agreed to place the lights at the Wards Corner Shopping Center on an automatic timer. Canopy lights were replaced. City purchased properties in Denby Park: The City acquired 308, 317, 319, 321 and 325 East Little Creek Road; 328, 334 and 338 Fort Worth in support of the Greater Wards Corner Comprehensive Plan. Demolition is scheduled to begin on October 21st with a timeline of 30-60 days. design and create artwork for Wards Corner. “Times Square of the South,” is being refurbished with a vibrant new mix of retail, entertainment and local services. unique and bring color, fun and vibrancy to this urban threshold. Find National Artist Opportunities here or by following us on Facebook! You are currently browsing the Wards Corner Now - Wards Corner, Norfolk, Virginia blog archives for October, 2013.